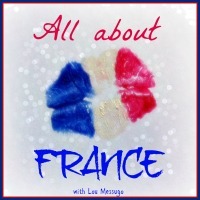 Welcome to ‘France et Moi’ where this week, to coincide with the release of her latest novel, I am talking to author Jennifer Bohnet about what France means to her. 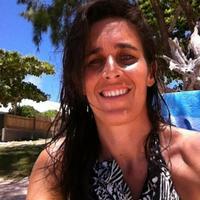 Jennifer is English but has lived in France for the past 17 years. After 11 years down on the Cote d’Azur where her husband Richard was a guardien for a villa, they moved from the Mediterranean coast to a small quirky cottage in Finistere, Brittany. This was a bit of a culture shock to say the least! When she is not writing she loves reading, cooking and having friends around for lunch - lunches that follow the French tradition of lasting for several hours. 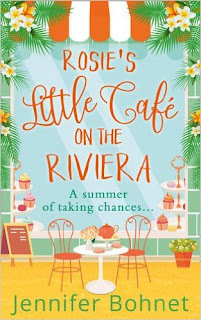 Rosie’s Little Cafe on the Riviera is her tenth book and she is thrilled @HQDigital are issuing it in paperback in conjunction with Sainsburys. Jennifer: Their attitude to life makes a huge difference I think. Their mantra still tends to be ‘work to live’ rather than ‘live to work’. I love the properties too that all seem to have the ‘patina of a bygone age’ - all that peeling paint and genteel air of neglect! I do agree with you though about the dog poo littered streets! Jennifer: Being met at Nice airport by our son and daughter-in-law and being driven along the coast to Antibes. Not only was it my first trip to France, I’d never been abroad before and I saw everything with the heightened vision of a new traveller. I had no idea then that just five years later I would be cycling down the west coast to make the Cote d’Azur my home for the next eleven years. 3) You have written novels set in many locations in France, from Brittany to the South of France, but do you have a favourite holiday location in France? Jennifer: Antibes. It has everything you could want on a holiday. Jennifer: There is just something about the diversity of France - both in its geography and its people. Down south it’s a very cosmopolitan population constantly changing, while up here in Brittany it’s still very much an agricultural community with its roots in family life. Both intrigue me. 5) You have lived in France for many years now, but when you first arrived in France what was the best thing about being immersed in French life and the scariest thing? Jennifer: The scariest thing was arriving in France with two bikes, a tent and a dog in a trailer behind Richard’s bike and no real idea of what we were doing! 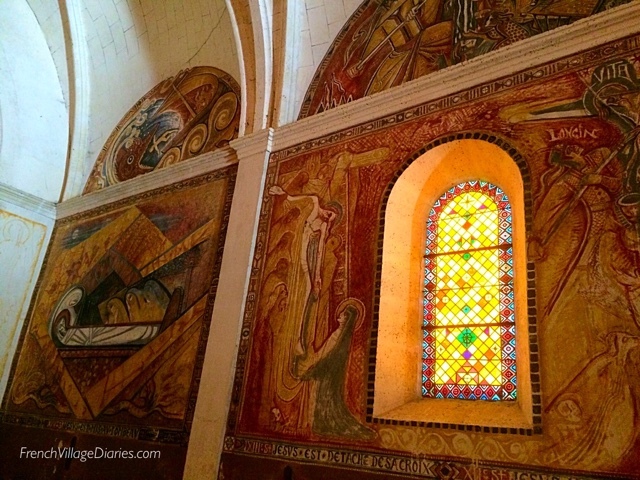 France sort of scooped us up and showed us a whole new way of life that we could embrace if we were brave enough. 6) Do you have any embarrassing language mishaps you are happy to share? Jennifer: Cannes has a wonderful stall in its daily market selling local artisan food produce and shortly after we arrived down south, I made the classic mistake of asking for dried fruit without preservative! (In French for those who are not aware preservatives are condoms.) I was mortified! Jennifer: At that hour in summer I’d have a black coffee, any other time of the year it would be a hot chocolate - an hour later it would have to a glass of rosé. Jennifer: Oh definitely a creamy rich Camembert - that and Brie are my absolute favourites. Jennifer: A nice cold glass of Pinot Gris takes some beating - although if money was no object it would be a cold glass of a good champagne every time! 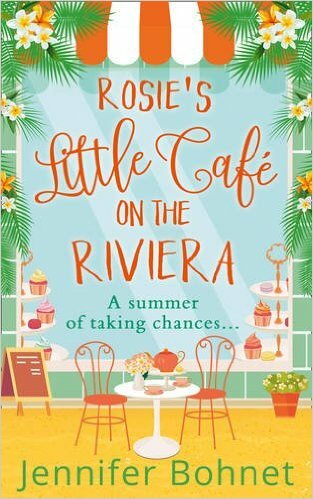 Finally, your latest novel Rosie’s Little Café on the Riviera was published yesterday, can you tell us a little bit about it? Jennifer: It's a summer of taking chances for three different women down on the exotic French Riviera. Rosie is opening her dream cafe and intends to spend the summer turning it into a success - only to find life tossing some unexpected events and people onto the menu. Then there's GeeGee who uses the cafe as her summer office - but this year she’s facing a summer of no money and no home. Recently widowed Erica runs a gift shop with a difference that she has been neglecting since the death of her husband. 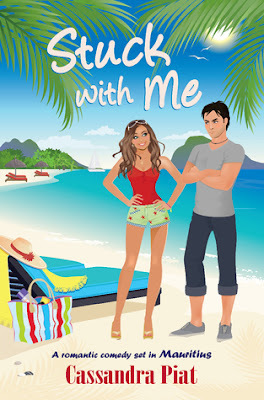 This summer, together with her young daughter Cammie, she needs to find a way of moving on with her life. What none of them expects is a summer romance. Thank you for taking the time to answer some questions about France and you, I really enjoyed meeting Rosie and spending the summer on the Riviera with her. I will be posting my review here next week. Jennifer: Thank you for inviting me Jacqui. Rosie’s Little Café on the Riviera is available in paperback and ebook format, links to Amazon can be found below. Here are the links to my reviews of some of her other novels. All of them are worth packing in your suitcase for this years summer holiday. We are en vacances, or on holiday, as today is day one of Ed’s two-week school holiday, les vacances d’hiver, or the winter holidays. However, as we are the last of the zones in France to break up, it is no surprise that there is more than a hint of spring in the air and I couldn’t be happier. Ed, who spent last week away on a school trip to London, is home, and although I enjoyed my lie-in this morning as there was no school run to do, my diary seems to be filling up with taxi requests for cinema, pizza and laser quest outings. The sun has been generous for February, enabling me to open the windows and hang my washing out to dry, although sadly today wasn’t quite as nice as last week. I’m sure the warm, sunny air has given me extra energy as I felt the need to spring-clean my bedroom and even had a good sort out of my bookcases. 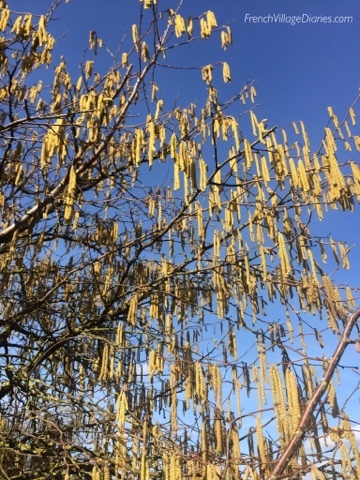 The hazelnut trees are dripping in catkins, the first violets have flowered in our lawn, and the bees are busy visiting them. 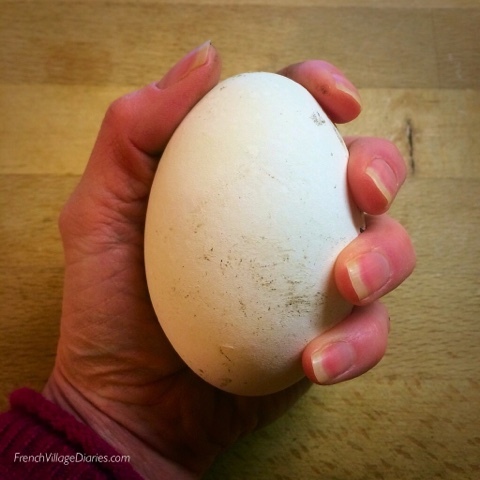 The cranes have flown overhead; making their way from North Africa to Eastern Europe and Brucie our goose has laid her first egg. With so many signs, I can’t help but get excited that winter is almost behind us once again and summer isn’t too far away. All around the village for the last three or four days the chugging sound of rotivators ploughing vegetable gardens has been heard, and those (not me) who are organised have sown their peas, shallots and onions. 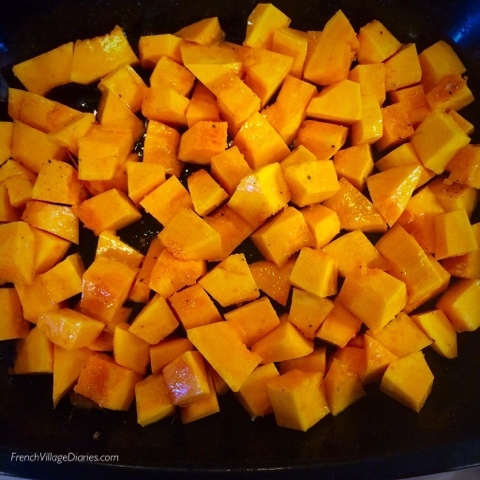 I know it’s time to start thinking about sowing my summer vegetable seeds, not least because I’ve just roasted the last squash that I harvested in autumn and stored carefully for use over winter. 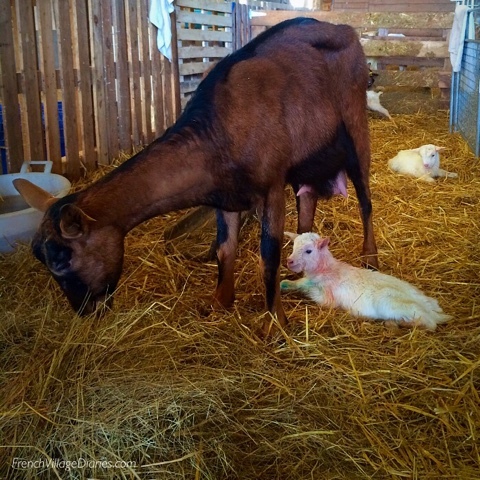 Oh, and my friend who has a goat farm, had lots of baby goats born over the weekend, so I couldn't help but share these very newly born Spring babies and their Mums. I hope your weather is good, wherever in the world you are. This post has been linked to Paulita’s Dreaming About France blog link up. Click here to read more. 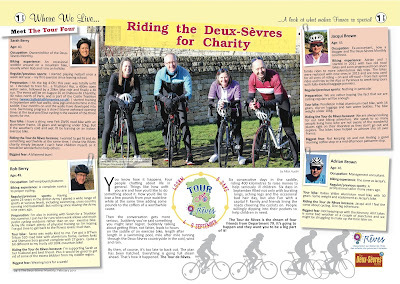 Those of you who also live in the Deux-Sèvres might have seen my photo (and Adrian’s) splashed across the centre pages of the February edition of The Deux-Sèvres Monthly magazine, where our charity cycling challenge was launched. 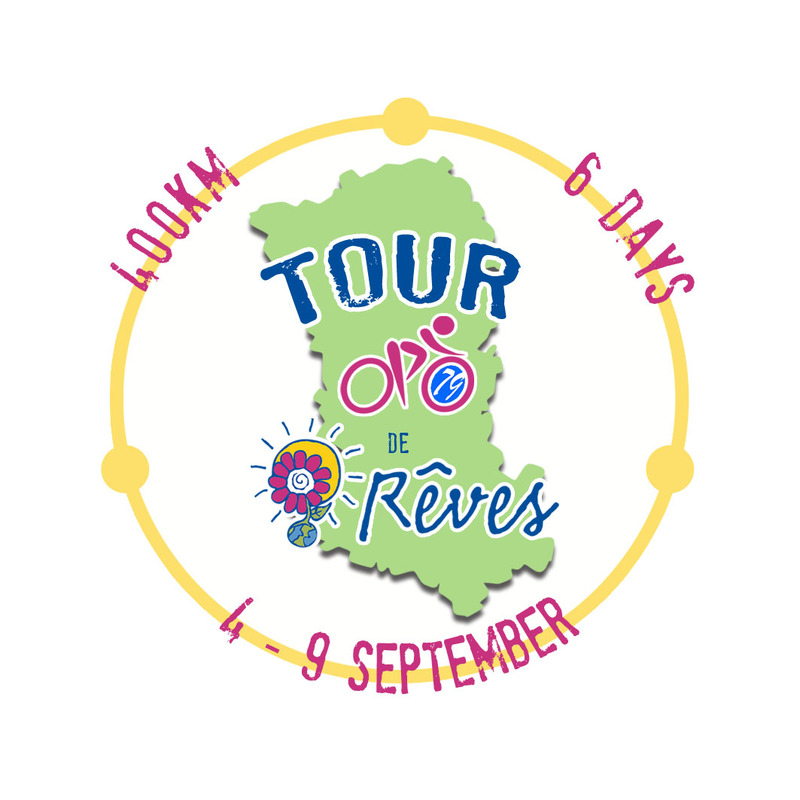 This September Adrian and I along with Sarah and Rob Berry (from The Deux-Sèvres Monthly) will be attempting to cycle around the Deux-Sèvres department following a 6 day, 400km (or maybe a little more) figure of eight route devised by Adrian. Starting on Monday 4th September in Secondigny, in the centre of the department, we will make our way south to the Pays Mellois, then west to the Marais Poitevin and Niort before heading to the north of the department, that for me at least is very much uncharted territory. From Parthenay to Thouars to Bressuire, Adrian says we will find hills, but hopefully the flatter terrain in the south will have warmed our legs up nicely by then, well, that is my ‘fingers-crossed’ plan. “I chose the Rêves charity simply because I can’t have children myself, so it would be wonderful to help others”. 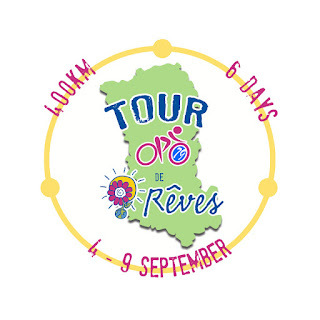 On a personal note, a cycle tour of the Deux-Sèvres is a dream idea for me. The Deux-Sèvres has been our home for over twelve years, despite never having heard of it until we started house hunting and found ourselves meeting with an estate agent in Chef Boutonne, a small market town in the southern tip of the department. Over the years I have come to love it here, but ashamedly the north of the department is still a bit of a mystery to me. 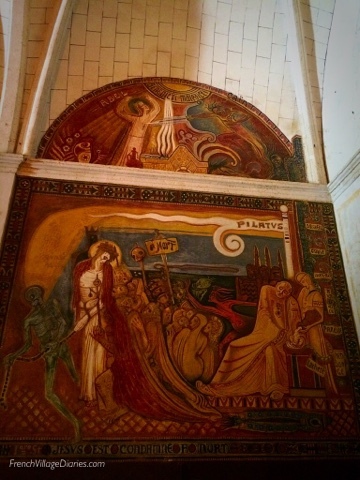 I have started my research already and over the coming months I will share my findings and we can learn together about the history, the chateaux, the Romanesque churches, the Donjon, the rivers, the wetlands, the fairytales, the pilgrimage routes and the food we are hoping to see and sample. 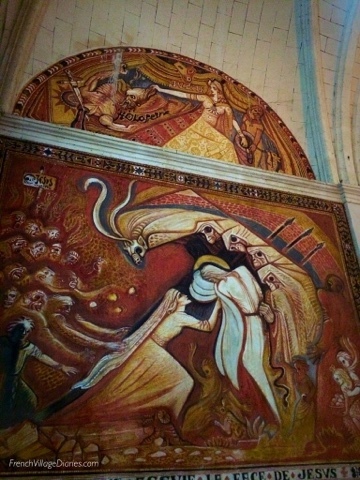 Oh yes, Deux-Sèvres might be relatively unknown, even to the French, but it’s not short of interesting places to visit. 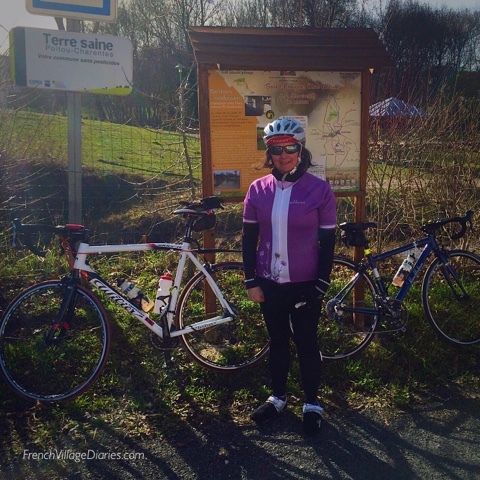 France (with a lot of help and encouragement from Adrian) has made me into a cyclist and cycle touring is the perfect way to explore. You see what would only be a blur of landscape from a car window. You smell the fields, verges and hedgerows as you cycle along. You feel the contours of the land, the sun on your back, and sometimes the wind and rain in your face. It is a 100% experience and I’m excited to be off exploring once more, despite the physical and mental challenge cycling 400km in six days is going to be for an almost 46 year old. I might be used to days out on my bike, but six days in a row and cycling in a team is going to be a new experience for me. Sarah and Rob might be new to cycling, but Rob is no stranger to sports and exercise and Sarah is five years younger than I am (with longer legs). I already know I slow Adrian down when we are out on the bikes and know I have to be careful and remember my limits, so I’m worried I will be the weakest link in our group. The what-ifs of living with epilepsy can be a challenge for my mind everyday, but with training, careful planning of rest stops and meal breaks, and not setting too fast a pace, I am determined I can do it. Nearer the time we will let you know how you can donate to Rêves (collection boxes will be placed in various locations along the route), but we are also looking for business sponsorship. We need cycle tops so we are recognisable to the cheerers, wavers, encouragement shouters and cyclists we are hoping will join us along the route, and maybe you can help us with these? We would also be very grateful of any help with accommodation for the Marais Poitevin, Parthenay and Bressuire stages. 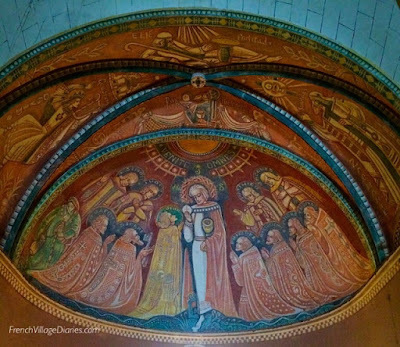 I can assure you that any offers of help will receive lots of (free publicity) shout-outs here on my blog and on my social media accounts, also from Sarah in The Deux-Sèvres Monthly tour publicity, and you may even be able to have your logo on our tour shirts. Please contact Sarah info@thedeuxsevresmonthly.fr if you would like to help. We are all very excited by the planning of this challenge and hope you will enjoy joining us on our journey. You can read the full article from The Deux-Sèvres Monthly online by clicking here. My review today is for the fourth memoir by Karen Wheeler, Sweet Encore; a road trip from Paris to Portugal, that also takes us to her home in rural France along the way. There is something very comforting about Karen’s writing style and being back in one of her memoirs is like meeting up with an old friend for a good girly catch-up. Life in her French village is moving on, the bar has re-opened, other new faces are arriving and changes are afoot for Karen too. 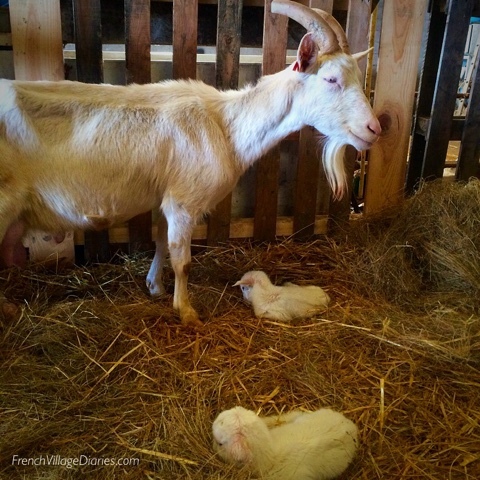 Rural France might not have the fast pace and excitement of city living, but that doesn’t mean it is dull either, especially as Karen has a gift of noticing the little things and sharing them in a way that made me smile. In this book Karen and her dog Biff are joined by Arianna, her niece; sent to Auntie Carrie’s reform school for the summer – well that is what her Dad is hoping. Worried that rural France might not live up to teenager Arianna’s expectations, Karen thinks big. 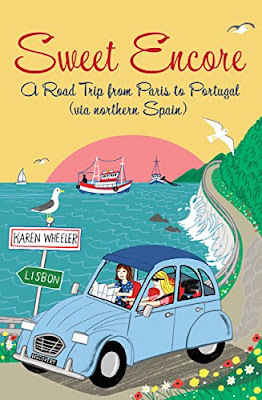 What better way to bond with her niece (who lives on the other side of the world) than hop in a car and take a road trip through France, northern Spain and into Portugal? Along the way Karen shares with us the sights they see, lessons she hopes Arianna will remember and more importantly the fun and laughter they enjoyed too. Those who have read Tout Soul will understand Karen’s desire to visit Portugal, home to her friend Luis, and there are some very moving moments when their road trip arrives in his village. I’ve never been to Portugal, but Karen’s descriptions and obvious love for it, especially the pastéis de nata (custard tarts) and Vinho Verde (local white wine), made it seem to be worth a visit just to sample them. When I read Sweet Encore it was Karen’s latest memoir about life in France, but for those of you who enjoy her writing as much as I do, I’m delighted to let you know there is a new baby in her series of books. France in Four Seasons, with the same gorgeous artwork that entices you into all her books, is out now as an ebook. 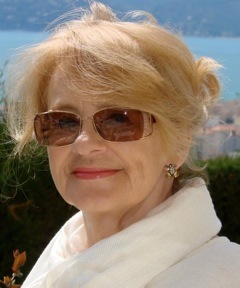 This is a collection of short stories and articles she has written over the years about her French village life. It is like a catch up as well as a revisit – some new stories, some felt more familiar, but all are 100% Karen and packed full of her fabulous descriptions. 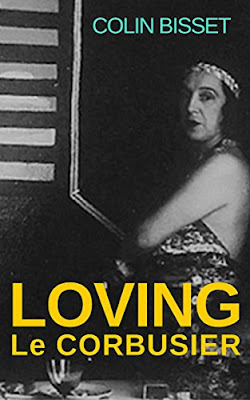 I was also delighted when she asked to include my France et Moi interview with her in the book – I wonder can I now class myself as almost published? If you are looking for some easy-read books to help take you away from the gloom of winter, these two will be perfect.